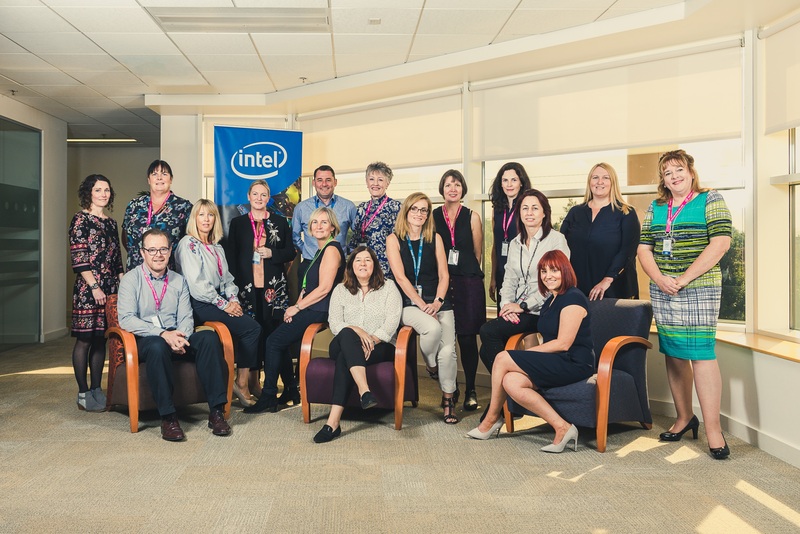 Diversity and Inclusion Leaders from Trinity College Dublin, University College Dublin, Dublin Institute of Technology, Dublin City University and University of Limerick engaged with Intel Ireland Diversity and Inclusion leaders including Fab 24 factory manager and Intel VP Ann Marie Holmes. Intel Ireland is proud to have signed Memoranda of Understanding, (MOU) with five third level academic institutions across the country, namely; Trinity College Dublin, University College Dublin, Dublin Institute of Technology, Dublin City University and University of Limerick. Each MOU is unique, and was built on foundations of pre-existing collaborations between Intel and that particular institution, however, all five relationships have focus on; developing and encouraging future talent, building creative research and development collaborations and shaping relevant policy frameworks. Last week Intel Ireland invited the Diversity and Inclusion leaders from each of our five MOU partners to the Leixlip campus, for a round table discussion on the promotion of diversity and inclusion within our organizations. Promotion of diversity and inclusion is a subject of great interest and importance to all six institutions and is an area in which we are all seeking to develop and improve. The event was also attended by diversity and Inclusion leaders at Intel Ireland, including Fab 24 Factory manager and Intel VP, Ann Marie Holmes. The three hour long event included 5 formal talks from speakers from our Universuty partners, as well as 4 talks from diversity and inclusion leaders at Intel Ireland, with topics open to the table for discussion following the formal talks. The event marks the first occasion in which Intel has interacted with all of our MOU partners as a single group; creating a ‘shared learning forum,’ an opportunity for us to share our successes and challenges with the aim of mutual improvement. Representing Intel’s University partners were a mix of diversity and inclusion leaders, staffing leaders and academics, while Intel Ireland had representation from the Fab, Intel Labs Europe, Intel Shannon and HR. The diversity of participants’ present lead to very interesting discussion and viewpoints from a number of angles being expressed. Participants were engaged and the discussion was interesting and productive. There were key takeaways and actionable points for all involved.